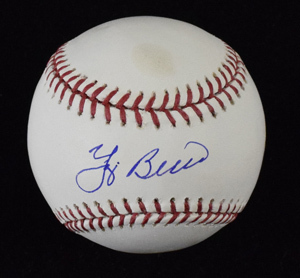 Yogi Berra Signed Rawlings Official Major League Baseball (B.Selig). Ball has couple areas of slight discoloration. Includes COA from Hunt Auctions.